Realistic representation of women has been high on the agenda of the media and advertising industries for decades. Yet images in newspapers, magazines and billboards still portray a narrow definition of female beauty, with potentially harmful consequences. Research published this week, commissioned by Dove, found that 70 per cent of women globally do not feel represented in the media and advertising that they see every day. The research also found that the constant bombardment of beauty stereotypes is making seven in 10 women feel pressurised to reach an unrealistic standard of beauty which, in turn, is contributing to an appearance anxiety epidemic. Women’s lives are affected by the limitations, exclusions and stereotypes that much of the imagery we see perpetuates. Their health, relationships, and the opportunities they are offered all suffer as a result. There is a clear need for media and advertising industries to take real, impactful action. It’s not all bad news – we are seeing steps in the right direction. On Getty Images website we’ve seen shifts in the search terms used by our creative, business and media customers when sourcing images; “real people” has increased +192% over the past year, “diverse women” by +168%, and “strong women” by +187% providing evidence of the demand for a more realistic portrayal of women and beauty. There have also been a number of encouraging initiatives from brands this year. In January US drug-store giant CVS banned photoshopped make-up and beauty imagery, citing the connection between the propagation of unrealistic body images and negative health effects, especially in girls and young women. Fashion retailer In The Style followed suit, and in February pledged to stop airbrushing its photos as part of the #ITSjustgotreal campaign. Getty Images was the first photography agency to reject images where models’ body shapes had been retouched back in 2017, so we welcome these moves. However, we’re also seeing trailblazer brands broaden their definition of female representation in their imagery. The ‘Body Proud Mums’ advertising campaign from Mothercare used unfiltered images of post-birth mums to celebrate the reality and natural beauty of women’s bodies after pregnancy. A campaign beautifully shot by long time Getty Images contributor Sophie Mayanne. Benefit Cosmetics was also praised for hiring model Kate Grant, who has Down syndrome, as an ambassador and the face of its new eyeliner. It is clear that there is not just one thing that needs to change in the imagery we see every day. There are numerous stereotypes that need addressing. It is vital that the full range of underrepresented women must be included in visual content – women with disabilities, women from different cultural, religious and socio-economic backgrounds, with different body shapes, single mothers and older women. And, crucially, that these women are depicted in a way that authentically represents them. Anyone who has a role in leading the creation, distribution and selection of imagery has the responsibility to better represent the diverse audiences they are speaking to. We take this responsibility very seriously, and want to empower our customers to create visual communications which are truly representative of their audiences. We’re proud to announce this week the launch of Project #ShowUs, the world’s largest stock photo library created by women of women, non-binary and female identifying individuals. The collection features 5,000 photographs of individuals from 39 countries and counting. It is the result of a partnership with Dove and Girlgaze that aims to shatter beauty stereotypes by showing women as they are, not as others believe they should be. Each image has been created by women and non-binary photographers who understand the beauty landscape of the country they are working in, which gives the collection a more authentic, hyper-local and inclusive representation of beauty. In addition, every individual photographed has personally defined their own search descriptions and tags, ensuring they feel realistically represented. By featuring more images like those in the #ShowUs collection, and making them easier to find, we are encouraging our customers to use these more forward-looking pictures in their projects. The more these images are used within the media and advertising landscape, the more we will see authentic and representative depictions of women become normalised. Whilst broadening representation of women in stock photography is a hugely important step, there is plenty more to be done. 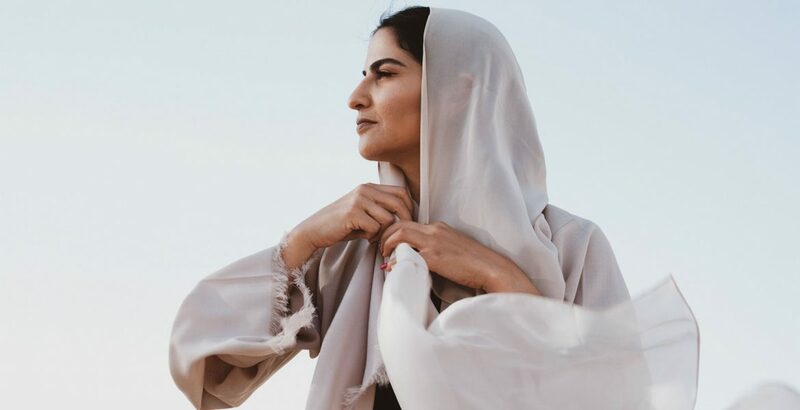 Limiting stereotypes negatively impact women around the world, and it’s up to all of us – both inside and outside of the media and advertising industries – to expand how women are portrayed. We are hopeful, however, that the #ShowUs collection sends a powerful message, and accelerates a global movement to change the face of beauty altogether. Rebecca Swift, Senior Director Creative Insights at Getty Images urges brands and publishers to show women as they are, not as they feel they should appear to be!